Texans struggling with alcohol addiction can find help by getting access to information and resources for alcohol recovery available in the state. Choose any of these alcohol abuse helplines, make a short call, and learn how to overcome the substance dependence. Delphi Health Group has alcohol hotline at (866)-520-2708. Trained medical professionals will refer the patients to one of the rehabilitation options, which is covered by insurance in most cases. Representatives provide free counselling, treatment advice, and recommendations for callers. Rest assured that calls are toll-free and highly confidential. Call the alcohol helpline today to get help. The National Alliance for Mental Illness (NAMI) in Texas provides information and referral services people struggling with not only alcohol dependence but co-occurring mental disorders. Call the alcoholism helpline at 1-800-273-8255 or the information line at 1 (800) 950-NAMI (6264). Calls to the NAMI information line can only be made Mondays to Fridays from 10 AM to 6 PM. 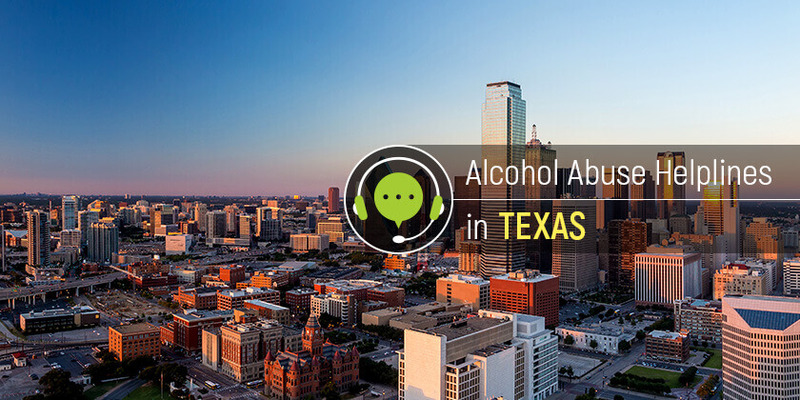 2-1-1 alcohol abuse contact number in Texas responds to callers in emergencies involving alcohol abuse. Representatives connect these callers to available treatment services in the state. The Dallas’ Council on Alcohol and Drugs provides information and resources for people in need of alcohol addiction treatment. The council connects these people with local community alcohol intervention and recovery services. Call the council at 214.522.8600 or toll-free alcohol hotline at (800) 246-HOPE (4673). Helpline agents are available Monday to Friday from 8 AM to 5 PM. Any of the helplines listed above may save a live. Are you worried about someone with problematic alcohol use? Pick one of the free hotlines for advice and assistance.